The ThetaHealing Technique is fabulous for getting to the origin of our issues because Practitioners are taught an incredible technique called digging. This narrative style approach allows us to comfortably discover the elusive and deep subconscious thoughts and beliefs that can block us. The ThetaHealing technique then uses unconditional love, Belief and Feeling work to clear these. This seminar is designed to get all ThetaHealers® well trained at this essential technique, to give you the solid grounding, and tips you need so you are confident at digging to find your client’s key core beliefs. Unless you can successfully identify the true heart and origin of the problem, you won’t know what beliefs to change. It can also mean that the changes you make may only be temporary, and uncleared negative beliefs can be barriers to true healing. This seminar will empower you to help your clients understand their own behaviors and lives, then through helping them make healing changes you’ll be able to emerge balanced and clear at the completion of their sessions. With the completion of the Dig Deeper Seminar, you will have proficient knowledge and experience to keep doing belief work on yourself and others. You will be able to know all the techniques to release and uncover the hidden beliefs that we are operating from. Under the guidance of your instructor, you will have ample practice time for this class. I discovered completely different way of digging after taking dig deeper class with Victoria. We were given a real gem in the most secure, loving and supportive atmosphere that Vica created for us. 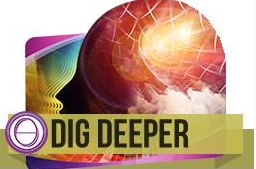 We were taught that the digging technique itself is a very powerful and healing process and can be done gently, through unconditional love and trust that will lead to finding a core belief. Victoria led us, supported us, shared her experience with us, her know-hows and she did it absolutely amazing! If you want to start your journey or continue self growth Victoria would be the greatest Teacher and Guide for you to do so.